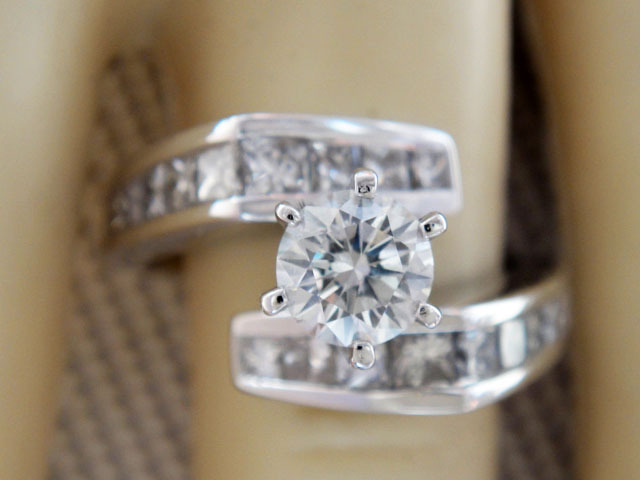 This is a 1.30CT Round Brilliant Diamond Engagement Ring. 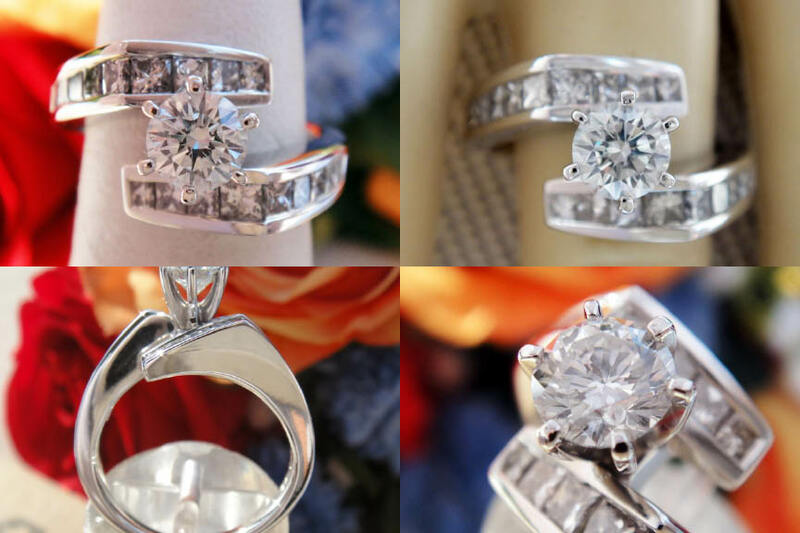 The center diamond is a 0.50ct Round Brilliant Cut Diamond. 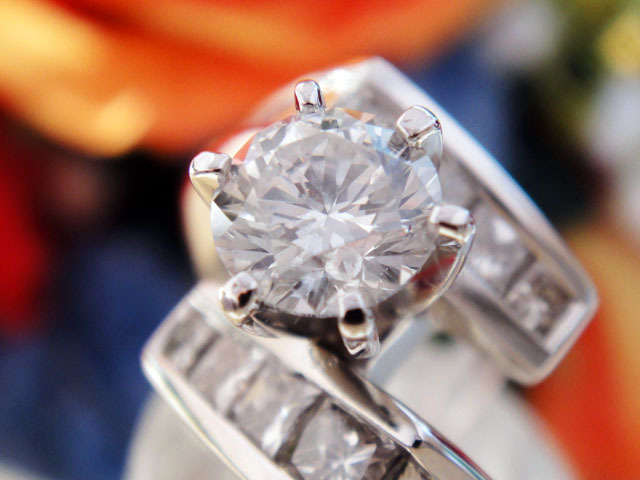 This diamond has good polish and symmetry with SI-1 clarity. The diamond is colorless with an F color grade. 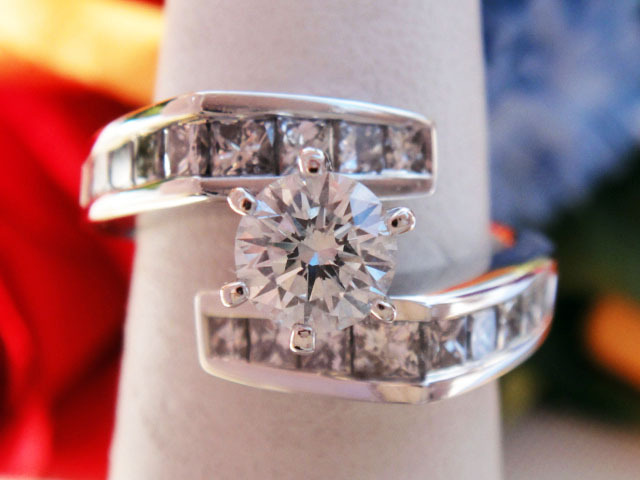 Diamond has mounted on a 14kt White Gold Bi-Pass style mount that contains 18 Princess Cut Diamonds. 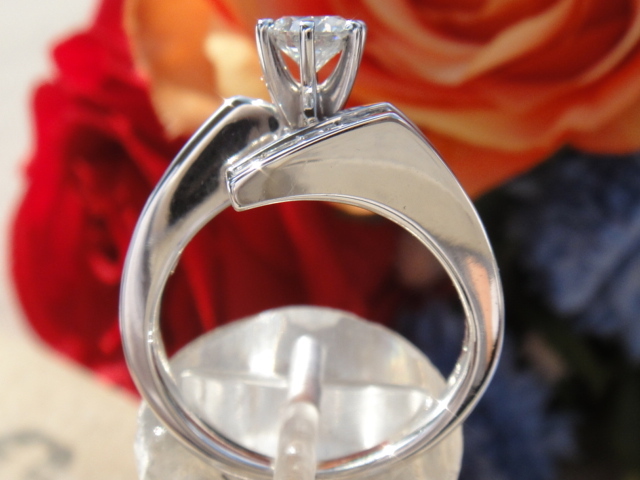 The pictures provided are of the actual ring enlarged so you can see the detail. But to appreciate the ring, you really need to see it. 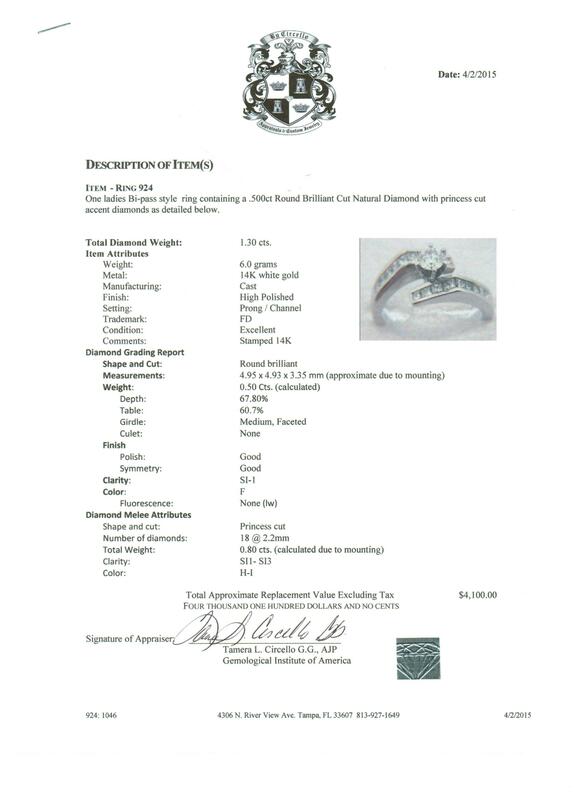 This ring was appraised by a GIA certified gemologist at an appraised value of $4,100.